Dealerships seeking to expand their market share are always on the lookout for services and features they can provide to attract buyers and close sales. 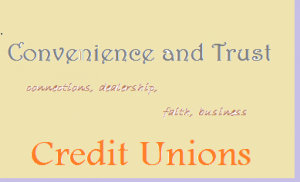 One such feature that dealers should consider is online networking with credit unions. These connections attract buyers that are members of the credit unions, because the arrangement makes their car-buying process both convenient and affordable. Here is a quick summary of the reasons that credit unions members seeking to buy a car are likely to be attracted to a dealer with connections to their credit union. Financing a car is a multistep process for car buyers, and is especially stressful for buyers with lower income or poor credit scores. These final hassles include haggling the car’s price and closing an auto loan. By purchasing a car through their credit union, however, buyers are able to minimize their hassle. 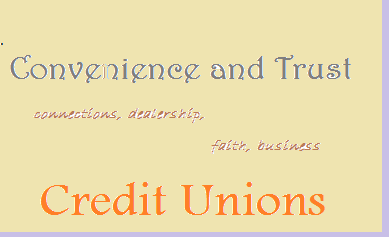 The buyer’s involvement in haggling is unnecessary when credit unions are involved in the sale. 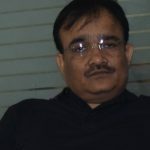 The dealer and credit union can set a reasonable, agreed upon price – in a way, the credit union haggles for the customer. Securing loans to purchase a car is also made easier for sales sponsored by a credit union, as credit unions generally have favorable rates and are willing to work with buyers’ poor credit scores. In the end, buyers are attracted to purchasing cars through their credit unions precisely because they save time and money with the pre-determined pricing and the reliable source of auto loans that their credit union can provide. Dealerships that are aware of the advantages that credit union auto buying affords potential customers can use this knowledge to boost sales. Companies like CU Direct offer effective solutions dealers can use to reach out to credit unions that are part of a larger network. Once included as part of a credit union’s online car-buying service, a dealer will immediately receive more exposure to potential customers, and will become a more convenient option for credit union members seeking to purchase a car. As one of an exclusive group of dealers within a credit union’s network, a car dealership automatically has a leg up over dealerships outside that network. Members will usually turn first to the dealerships recommended by their credit union, because they benefit from the work the credit union has done for them in vetting the dealerships. By amassing these select few dealerships – filtering out any predatory or bad-faith businesses seeking to take advantage of buyers – credit unions are able to provide their members with the resources to find a dealer they can trust. Because a dealership’s inclusion in a credit unions’ network of dealers is based on the reliability and service value of that dealership, members can save time on appraising all dealerships in their area. Instead, they can narrow their focus to the smaller number of dealerships that the credit union has already found to be reliable. This process can be streamlined yet further for the credit union member when the credit union provides online purchasing services for prospective car buyers. Credit union auto buying assures a prospective buyer that a dealer is trustworthy, and that the car they purchase will be both reliable and reasonably priced. Convenience and trust make purchasing a car through a credit union an attractive option for buyers. Dealerships can use this fact to their advantage by connecting with credit unions.